Nest has a colourful personality. It is lively, mobile and unpretentious. Nest can be easily moved around for an impromptu breakout session or nested away when you need the space for something else. The eye-catching mesh-like shells gives a smart look that suits all venues from seminar rooms to cafeterias. 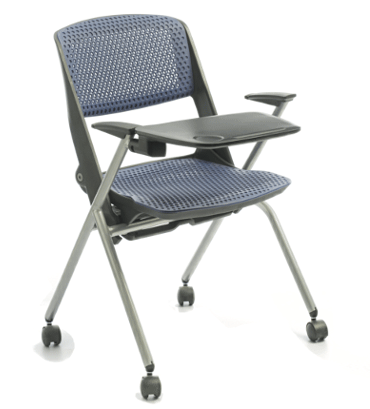 Its versatility is great enough to suit educational, training and conference applications.